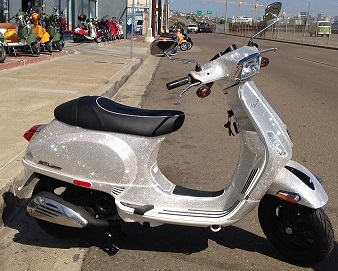 Twinkle twinkle little star or maybe we should say Bling Bling Little Vespa. This Vespa S was a special give away by Swarovski Crystal. Only 2 were made and sorry to say they are NOT for sale. The 1st one has already been claimed and we’re just waiting for the 2nd lucky winner to step forward and claim their amazing prize. And what a prize it is, the Crystal Ninjas meticulously hand applied 70,000 little Swarovski Crystals. These little jewels makes this one of the most unique Vespas ever made and one of the most valuable too. Click here to see the magic happen. 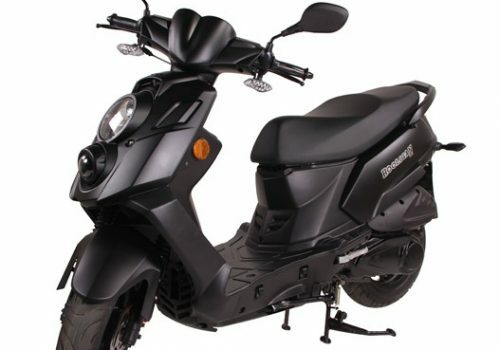 Imagine a 170cc, fuel-injected motor with tighter suspension packed into the Hooligan frame and you’ll begin to get a sense of what the future holds for Genuine Scooters. 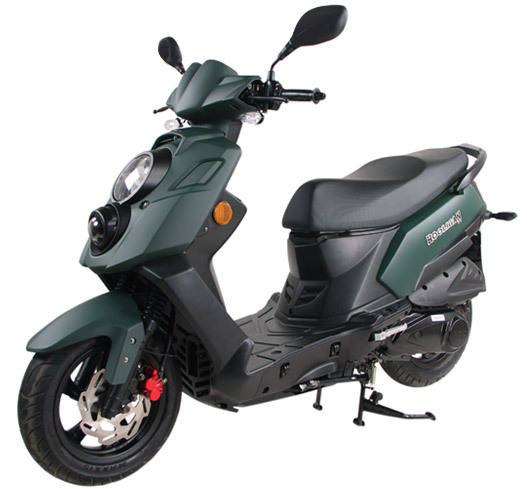 Boasting a 100 mpg fuel economy with the responsiveness of fuel-injection and stiffer rear shocks, this scooter really hauls. 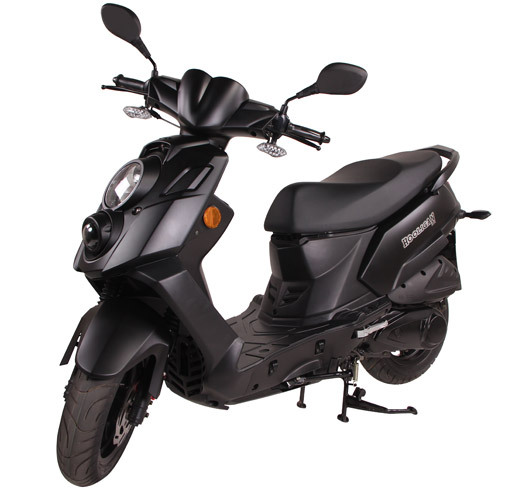 The Hooligan 170 scoffs at hills, even if it’s off-roading, carries passengers or cargo with ease, and parks anywhere: The ideal urban commuter, the new future of S.U.V., Scooter. Utility. Vehicle, NOW available in Matte Black and White! *Note: MSRP does not reflect destination or other dealer vehicle preparation charges. Wondering about destination and dealer prep charges? Give us a call.